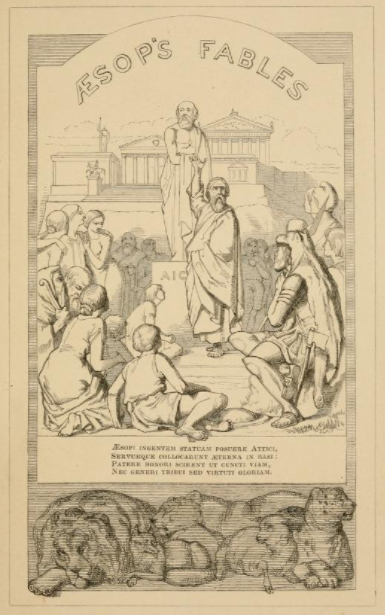 Aesop's Fables: A new version, chiefly from original sources, by the Rev. Thomas James, with more than one hundred illustrations designed by John Tenniel. The book was published in 1848. There are also later editions of the fables which combine the Tenniel illustrations with Wolf's illustrations (as here).